An untidy bizarre man, wearing big patched glasses and a toupee, projecting a movie with an old super 8 projector. 4k00:06Joyful Caucasian young guy in glasses and with long hair texting on the smartphone while chatting at the desk with laptop computer in the loft office. hd00:21little girl sitting on the bed and reading a book - dolly motion. RAW video record. 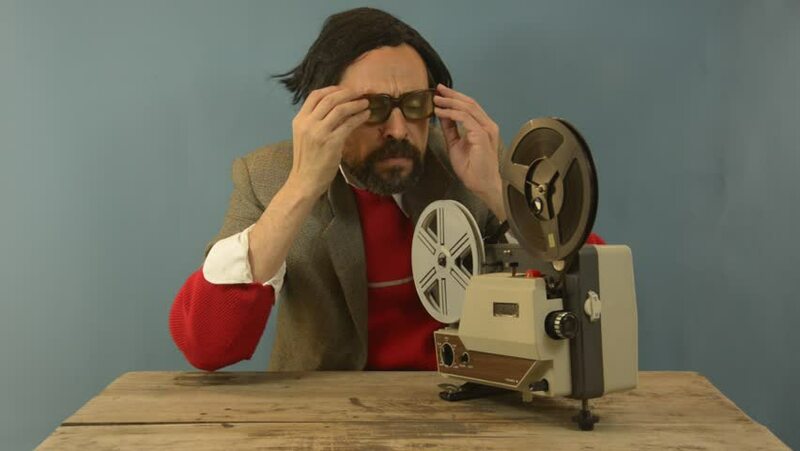 hd00:25An untidy bizarre man, wearing big patched glasses and a toupee, projecting a movie with an old super 8 projector.